Hurricane Harvey dealt our region a devastating blow and exposed many of our vulnerabilities. At the same time, it reminded us of our community's strengths. We have all heard stories about – or experienced firsthand – people coming together to help one another. Neighbor helping neighbor. Stranger helping stranger. We showed the nation – and the world – Houston's spirit of resilience and camaraderie. Now, across the region, there is a sense that we have an opportunity and an obligation to take bold steps to re-envision the future of our region. We want to protect and sustain our economy, our environment and our residents – particularly those who are most vulnerable. We want to ensure that all communities benefit from flood mitigation efforts, and we believe that providing the best possible information to decision-makers and residents alike is the best path to doing so. We are fortunate that our region is home to many amazing academic institutions. And we are more fortunate still that these institutions have agreed, in the spirit of collaboration, to come together and lend their best resource – their information, credibility and expertise – to help tackle the complex problems ahead. This isn't a mere academic exercise. The consortium will focus on translating this data into actionable information that can engage the public and guide decision-makers at all levels as they steer our region's redevelopment and make decisions, not only about mitigating future flooding, but about mitigating the impacts of future flooding on our residents, regardless of where they live. The consortium will focus on landscape-scale and neighborhood-level flood mitigation strategies that are feasible and have high potential for impact. These strategies range from public risk education campaigns, policy and regulatory changes and the development of new infrastructure, both "gray" and "green." For example, the consortium is currently considering the implications of various options for a third reservoir in west Harris County, as well as the implications of different strategies for approaching property buyouts. In addition, the consortium is compiling information about flood mitigation projects that are "on the books" across multiple agencies and jurisdictions – among many benefits, this information could point to flood-prone communities where there are no plans for flood mitigation at this time. Overseeing this effort is respected urban planner Christof Spieler of Huitt- Zollars. We commend these institutions for lending their time and some of their best minds to this endeavor. We believe it is critical for our public officials to have access to the best possible information available in their deliberations. Similarly, we believe our region's residents also deserve access to information that will help them better understand and advocate for the options that work best for their communities. This is why we have joined together. As presidents of three of the region's largest philanthropies, we are proud to support this effort. The consortium will also guide philanthropy as we work alongside our public partners to address significant future regional issues. We are grateful that the Walton Family Foundation and the Harte Charitable Foundation have invested in the consortium as well. We believe that bringing together our region's most respected institutions to provide the best possible information to decision-makers and residents alike will serve to strengthen our public officials' deliberations. And fostering Houston's resiliency will benefit every single person in the region. So we invite you all – our partners within the philanthropic sector, our elected officials and the community – to make use of the information the consortium will provide over the coming months. 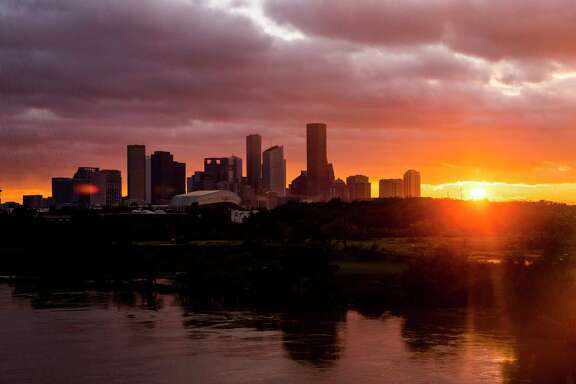 As information and studies are available, they will be published on the consortium website, houstonconsortium.org, which will be offered for free to anyone interested in or actively working toward building a more resilient and equitable city, county and country. Ann Stern is the president and CEO of the Houston Endowment, Nancy Kinder is the president of the Kinder Foundation, and Katherine Lorenz is the president of the Cynthia & George Mitchell Foundation.